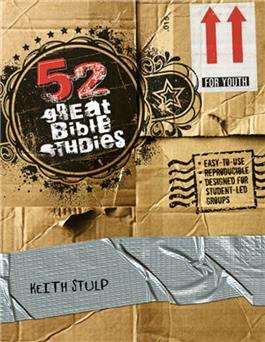 This downloadable version (in PDF format) includes 52 Bible studies that are straightforward, easy to use, and great for high school students. Order one per church. Leader resources and student handouts are available for viewing and printing from the PDF. These popular Bible studies are straightforward, easy to use, and great for high school students. T his downloadable version (in PDF format) includes eleven units with three to seven sessions each on the following topics: Decisions, Forgiveness, Gossip, the Kingdom of Heaven, Money and Lifestyle, Philippians, Relationships, Self-image, Service, Stressors, and Words of Faith. Individual units are also available for purchase (in downloadable PDF format).